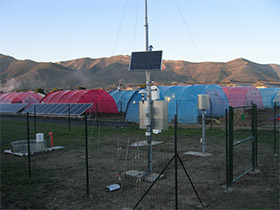 The project aims at developing and delivering innovative, reliable, rapid and cost effective technologies of Tier 3 level for the on-site measurement of CO2 , CH4 and N2 O emissions and Soil Organic Matter (SOC) stock changes from agricultural fields at real time, in order to assist scientists, public authorities and policy makers in collecting, quantifying, evaluating, mapping and reporting spatial data for GHGs emissions and SOC stock changes from the Mediterranean agricultural sector. Devices will be stable and can be installed permanently at fields to measure at individual fields or group of fields. Development and demonstration of an innovative LIDAR device for large scale GHGs measurement (up to 10 Km range). Development of a methodology for the identification of SOC stock changes which combines the use of multispectral cameras and soil/crops analyses (up to 350-400m). Development of a GIS-based Web platform (Center of GHGs Monitoring and Management-CMM) for collecting, processing and spatially mapping GHGs and SOC data from cultivated fields at national level using the innovative devices, enhancing the use of spatially-explicit data to identify land use and land use change as well as the development of a network of monitoring systems throughout Med/EU. Improve reporting of GHGs emissions and SOC changes by developing GHGs/SOC measurement protocols, based on the collection of real time spatial data, in comparison to the current accounting Tier 1 methodology. Establish an Operational Center for the monitoring of GHGs emissions and SOC changes from fields at the Greek Ministry of Rural Development and Food and develop (1) a draft legislative act for the Greek Parliament to adopt the relevant CimaMed proposals/outputs; (2) three proposals for respective legislative acts in IT, SP and CY. -Identify the relation between agricultural practices and GHGs emissions as well as with SOC stock changes for the most important Med agricultural products, i.e. olive trees, grapes, cereals, pistachios and vegetables. Develop and establish a certification system (e.g. green certificates, low carbon certificates) for products with low footprint based on real time measurements to award “green farmers”. Facilitate and incentivize behavioral change at local and regional level by providing additional initiatives to farmers for the transition to low GHG emissive agricultural practices through the Greek Ministry. Estimation of Products’ Environmental footprint (olive trees, pistachios, grapes, cereals and vegetables). An innovative device (LIDAR) for GHGs measurement on-site and at field level. An innovative array of devices and the respctive procedure for quantification of SOC stock changes. A telemetry system in connection to the above two, for data collection, management and transmittance to the CMM. An Integrated Center of GHGs Monitoring and Management (GIS-based web platform – CMM) to monitor GHGs emissions and SOC stock changes from agricultural areas at local/regional/national level. Moreover, ClimaMed will improve the accuracy of the methodology for quantification of GHGs and Soil Organic Carbon (SOC) stock changes by developing a Tier 3 methodology. Identification of hot spots of emissions and implementation of focused measures for reduction at field level. Development of a network of monitoring systems through the GIS based web platform for data collection and monitoring. Identification of the carbon footprint of major Med cultivations (olive trees, grapes, cereals, vegetables and pistachios) based on absolute measurements. Certification of “green products” based on measurements gathered from the innovative Tier 3 methodology. 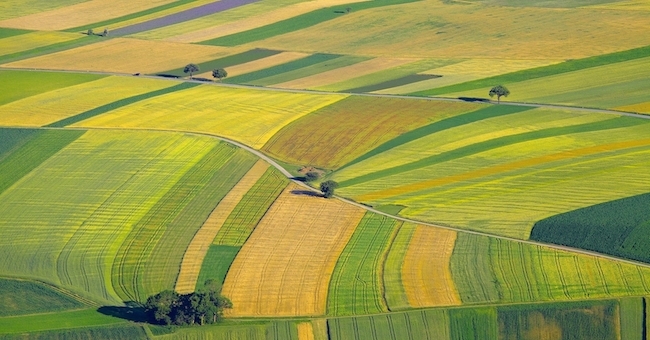 Protocols for measuring, calculating, reporting and mapping GHGs emissions and SOC stock changes from agricultural fields. A draft legislative Act to be processed to the Greek parliament for the adoption of projects outputs (the measurement technology, and the CMM). Three draft legislative Acts for Cyprus, Italy and Spain. Multimedia training center for users (English, Greek) with the ability for further translation in other languages. A Roadmap for “Implementation of innovative technologies to measure and monitor GHGs emissions and SOC stock changes in different productive European sectors. A business plan for the dynamic entry of the products and services in the market (end 2022). An LCA for the environmental ipmact of ClimaMed products and services.